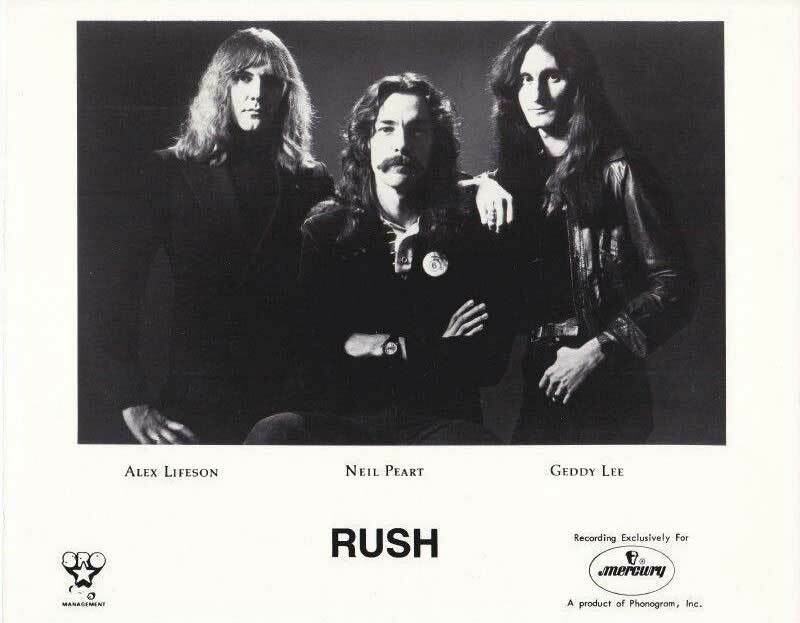 Toronto rock group Rush is the most vocal of any band in Canada in its stand against bootlegs. We went to Rush's personal manager, Ray Danniels, to ask some questions in regards to this stand as well as to find out how the legal action against alleged Montreal bootlegger Michel Mess was progressing. Two members of Rush recently testified at the preliminary hearing of 256 counts against Mess. Danniels is no fan of bootleggers himself. In a recent interview with the Toronto Star he is quoted as saying, "We hate these bootleggers with a passion. There's nothing good you can say about them." HWQ: In a segment of a Montreal news feature called Pulse Probe the statement was made that the band felt the public was being ripped off by bootleggers. We feel the public rarely has access to bootlegs due to their very limited distribution and that bootlegs sell to collectors who know what they're buying. Any comments? Danniels: To admit to being a collector of illegal goods is similar to being a habitual shoplifter. Don't you think bootlegs are a tribute to a band and serve much the same purpose as a promotional album? Are you opposed to the music on bootlegs getting out to the general public? Certain things are not intended for the general public. Recording a transaction between an artist and the audience without their knowledge is no different than recording a private telephone call. What are the band members' views on bootlegs (a bootleg consists of unreleased or unavailable music as opposed to pirates or counterfeits which are copies of released records)? Bootlegs rip off the public. They are not quality products. They deceive the public by capitalizing on the artists' name and image. Does the band listen to other bands' bootlegs? How large do you feel the pressing of a bootleg is? Without going into areas you can't get into, can you tell us about the lawsuit in Montreal and what caused it? How many copies of the Rush bootleg were seized in Montreal? How many do you think were pressed? Any comments on the recording quality? There is no quality involved. It was recorded on a $40 cassette player and then lost even more "quality" in pressing. What do you think of the terrible cover on the Rush Around The World Recorded Live In Montreal boot? As bad a rip off as the album. If a Rush bootleg that was well recorded with a limited run came out would you take action? Yes. If it was "well recorded" it would be a commercial release. It takes sales in excess of three to five hundred thousand albums to break even on what we consider well recorded. What does the band or its management do about tape recorders at concerts? Our people are instructed to confiscate and deal with the person(s) involved as seems appropriate to the time they are found. Has Rush had any problems with counterfeit records? Bootleg t-shirts and other unauthorized merchandise is a direct loss of money. Are you actively seeking out persons involved? Yes. We don't appreciate calls and letters from irate parents because their kids have been ripped off. Most of the bootlegs are poor quality and a direct reflection on the band. Kids feel if the shirt has a Rush logo on it and it falls apart the first time it's washed, the band has ripped them off. We want to sell a second shirt the second time we come to a city and if you rip off someone the first time you can be sure they won't buy a second shirt.